Alvina Wong, an organizer with the Asian Pacific Environmental Network, said the city needed to give the public and opportunity to read and understand the proposed changes before taking action. Wong said she had concerns about at least eight of the proposed changes. “This reads like streamlining a process for developers, and limiting the public’s ability to shape things,” said Wong, whose group worked with Chinatown and Eastlake neighborhood residents to shape the Lake Merritt Station Area Plan. Doug Boxer, a former Oakland planning commissioner, who now runs a consulting firm, was one of the few speakers to urge the commissioners to accept the total package of changes. But most speakers urged caution. Even items that appeared to have majority support were tabled due to concerns that they needed to be further refined. For example, the commission is proposing rules that would make it easier for homeowners to build backyard cottages. Commissioner Jahmese Myres said she supports the proposal, but is concerned that short-term rentals through Airbnb and other platforms could undermine housing affordability goals — which are a major reason for easing secondary unit regulations. Berkeley, which recently eased rules on secondary units, disallows short-term rentals of newly built backyard cottages. “My recommendation would be the secondary units disallow short-term rentals and some sort of minor conditional use permit is required for a short-term rental and an application would have to come and apply for that,” said Myres. 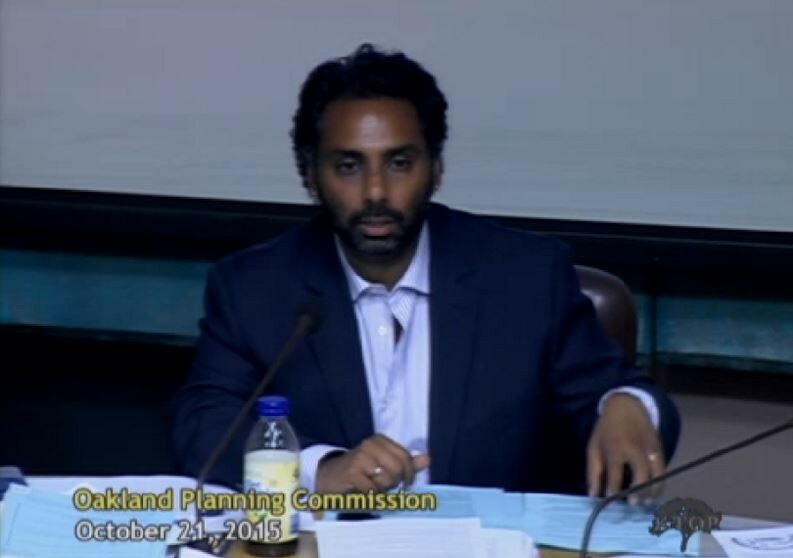 Planning commission chair Adhi Nagraj said he isn’t concerned as much about short-term rentals of newly built secondary units, but the disagreement on the commission itself showed the need for further discussion and refinement of the proposal. Two other items in the packet of proposed changes would make it much easier for developers building giant projects like hotels, office, and apartment towers, or even industrial facilities, to gain approval without subjecting projects to heightened public scrutiny. Currently a project deemed a “large scale development” must gain major conditional use permits from the city. The process of obtaining these permits allows the public and city officials to shape a project, and sometimes to require community benefits, labor agreements, or other features to reduce a project’s impacts. Currently in many areas of the city any project larger than 25,000 square feet must gain a major conditional use permit. The proposed changes would increase this to 100,000 ad 200,000 square feet in different parts of the city, allowing developers to gain approval from city staff, rather than having to get a permit from the planning commission. In the end, the commission voted to bring the multitude of proposed changes back as separate items, with non-controversial and non-substantive changes grouped together so they could be quickly approved, while more controversial items will be debated. Once the planning commission approves changes to Oakland’s planning code, they must go to the city council’s Community and Economic Development committee, and then gain the final approval of the full city council.